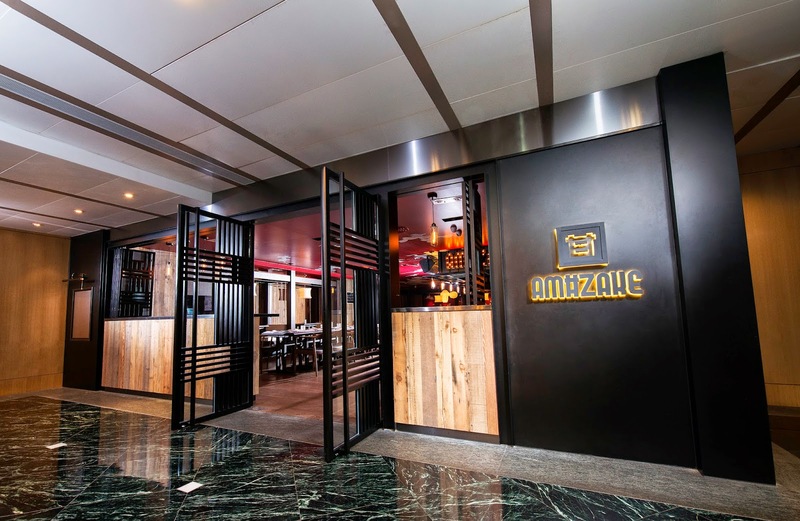 Ventured to AMAZAKE a couple weeks ago, a new resto by Prive Group which boasts of "a one-of-a-kind dining, drinking and game-playing experience in Hong Kong." We just went for dinner and didn't get into any game playing while there but did manage to try out some of the cocktails and dishes. General consensus amongst us was that the food was ok, they have some interesting concepts but it's nothing to really write home about and there are a couple dishes that we would skip if we return to save quota for other things. 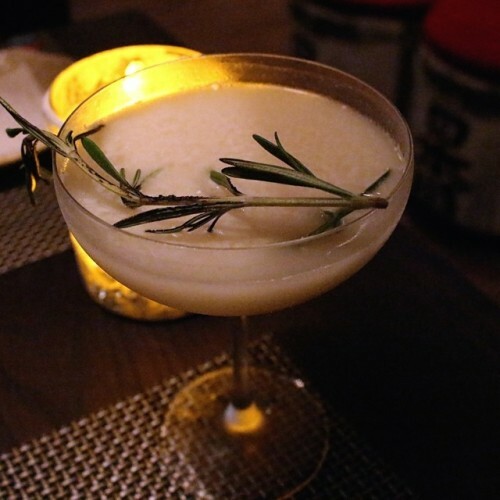 First up, we ordered the Buru Chizu (Sake, Akashi blended whiskey with blue cheese and homemade rosemary syrup). Was extremely excited to try it due to the blue cheese element. Unfortunately, there was barely a hint of it. The whisky masked everything and there was only a slight hint in the finishing of blue cheese. 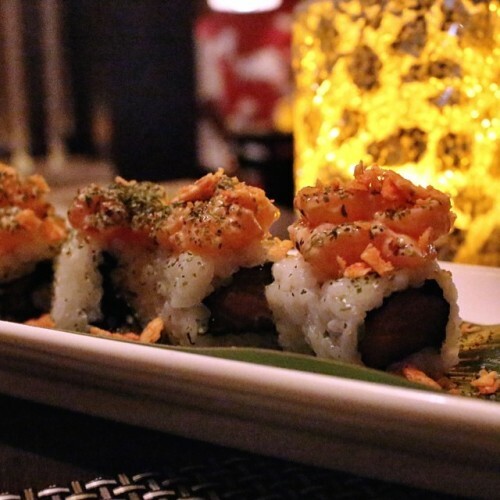 Then came the #ROLO (Spicy Salmon Roll). 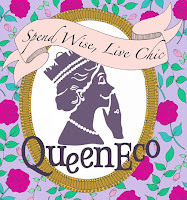 Cute name, play on YOLO I presume. Not what I thought a YOLO roll would comprise tho. Shouldn’t it be more of a guilty pleasure? Ah wells, the crunchy bits added a nice texture to the sushi. This dish unfortunately was a miss. Green tea mochi (fried mochi sprinkled with green tea salt). It ended up being bit of a waste of quota. I’ve yet to find any sort of fried mochi tasty to be honest. We tasted shrimp in the middle but weren't quite sure if shrimp really was there since the description didn't say anything about shrimp. 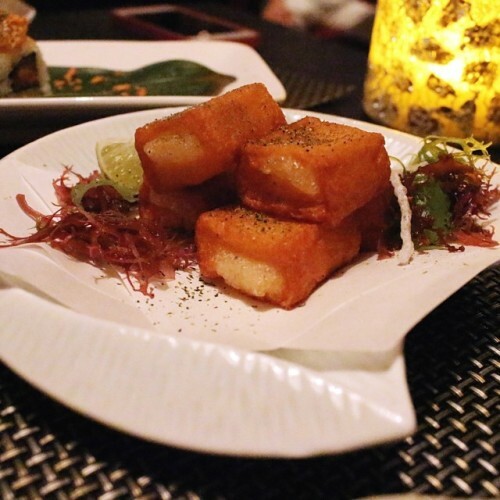 Perhaps the concept was a Japanese twist to fried prawn toast? 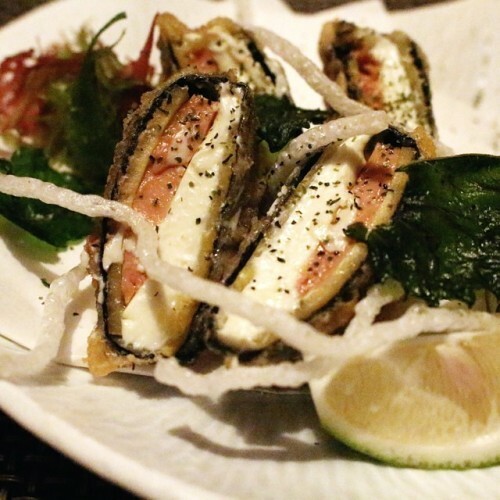 Fancy cheese (cream cheese and foie gras tempura). This was a pleasant surprise although the cream cheese to foie gras ratio would be better if it’s the other way round given that the cheese overwhelmed the taste a tad too much. 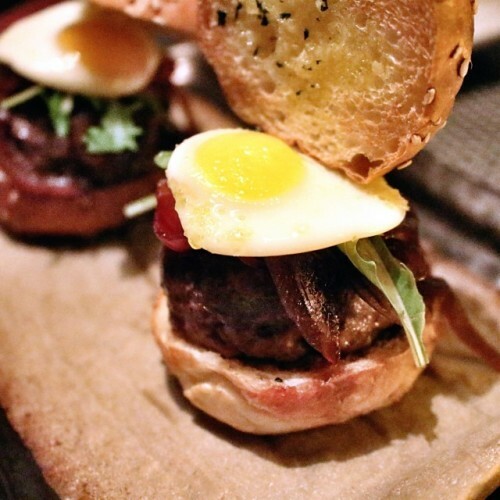 We also had the AMAZAKE sliders (wagyu hambagu topped with quail egg). Nice little slider and loved the idea of the quail egg. Egg was a tad overcooked but otherwise the slider was quite juicy. Flavourwise, it was on the sweet side as there was quite a big splat of caramelized onion. Next up was their Famous Fried Chicken (extra crispy served with spicy sauce). Unfortunately sauce wasn’t spicy and chicken not too crispy. 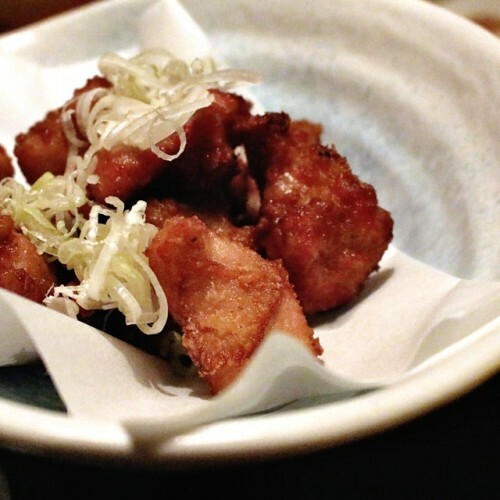 Another dish whose quota is best saved for other dishes as you can get better chicken elsewhere. 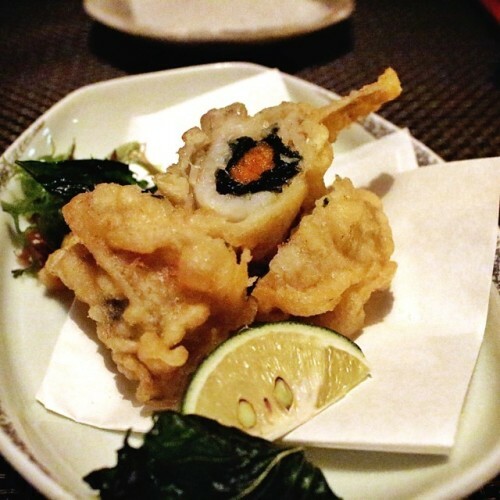 Final dish of the night was the Fly fish (Kisu and uni tempura). Was hoping for a lovely rich indulgent uni taste to the fish but unfortunately, couldn’t really taste the uni. Fish was cooked well though and was nice and soft. Dinner came to about about $1,000 for three cocktails (didn't manage to get photos of the other two, oops) and the above dishes.